One of my favorite “deals” among Parisian restaurants is the bistro. Sometimes spelled bistrot, this type of eatery is usually small-sized and offers a limited selection of simple yet tasty, satisfying meals at a good price. In Paris, of course, bistros are found in virtually every neighborhood. Here in Albany, while we might not have an overabundance of choices of this sort, we do have a couple that are worth a visit. 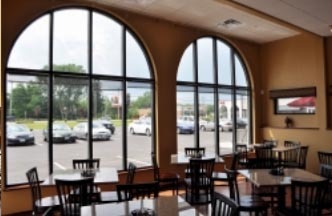 Located in an unassuming strip mall at 1839 Central Avenue, Garden Bistro 24 has been open for business just over two years. 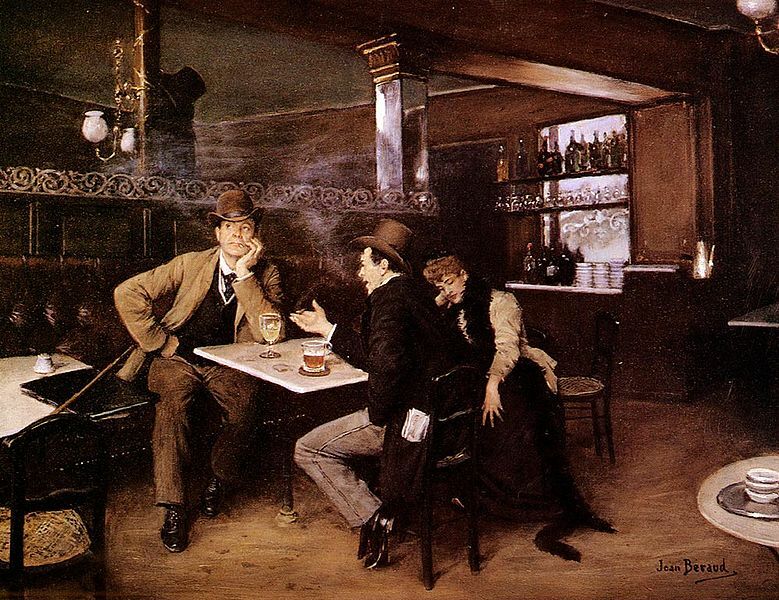 During that period, we have gone there for dinner about four times and have always enjoyed a delightful meal. 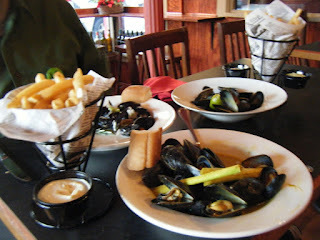 I’ve had the mussels with at least two different sauces and both were delicious. Probably my favorite was the basil lemon butter, but I had the special one night which was made with saffron and loved it as well. 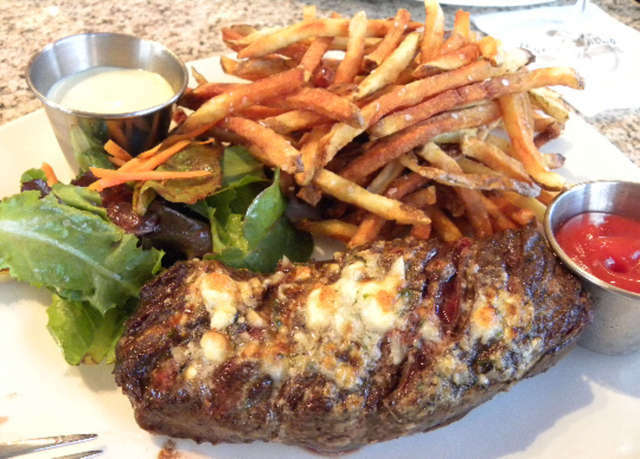 On a separate occasion I tried the hanger steak with blue cheese-shallot butter; what a delight it was! Most dishes come with French fries and they are the best I’ve had anywhere around. I have heard some complaints that the menu is too limited, so you’d have to check it out before you go and decide for yourself. Basically, though, there are chicken, beef, fish, and mussel entrées, as well as a vegetarian option. As for the desserts, how can you go wrong with crème brûlée, chocolate mousse, pastries, and crêpes? There is also a complete wine list at reasonable prices. 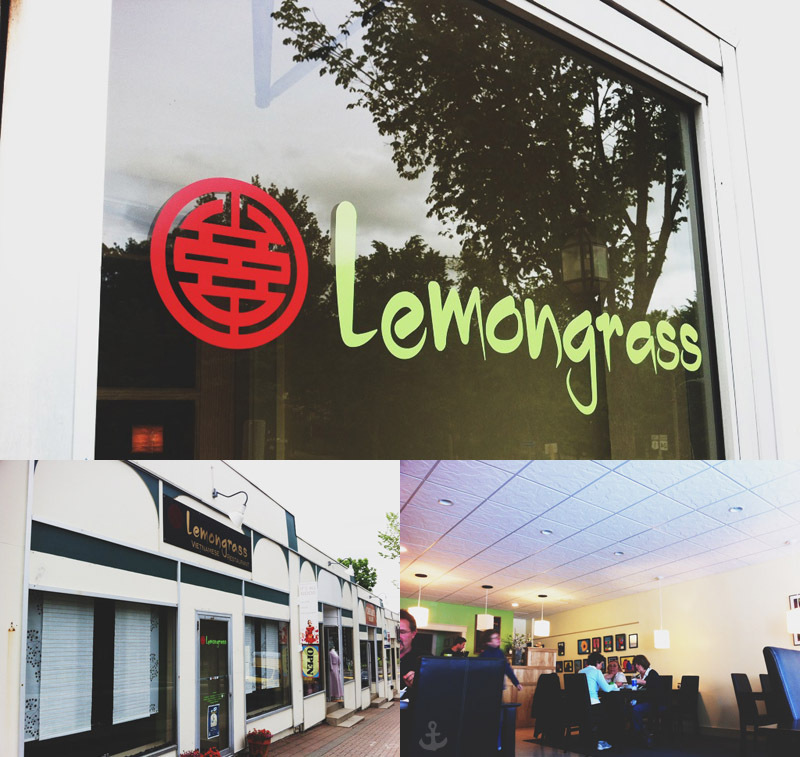 In 2012, it was voted the Best French Restaurant by Capital Region Living Magazine. I really think it’s worth trying. Just this week I spent a lot of time in downtown Albany and decided to drop in at The Merry Monk for lunch. Billed as a bar, the name undoubtedly refers to the fact that Belgian Trappist monks have been in the beer-making business for centuries. The restaurant, which has been open just short of a year, is situated at 90 North Pearl Street in an old building with a lot of charm, both inside and out. Its extensive beer list features bottled and draft brews from Belgium to Brooklyn and a lot of other places besides. (Wine doesn’t seem to be an option, just so you'll know.) On the menu you’ll find salads, soups, burgers and other sandwiches, as well as the national Belgian dish: moules frites. Being a mussels fan, as readers are well aware, I tried the Thai curry variety; they were great: fresh, plump, in a delicious yellow curry with big pieces of lemongrass. You can specify whether you want one or two pounds of mussels. The French fries, which come at an extra charge, were a big disappointment for me—not crispy and probably not made on the premises. Still, on the whole, the place has possibilities. A starter, which was accidentally delivered to our table, the wings, looked especially good. And I’m always up for trying the crab cakes, so I’ll definitely go back. We live in a capitalistic society. And while capitalism does have its advantages, it seems that the drive for profit and its accompanying advertising are omnipresent. Years ago, highways were littered with billboards of every shape and size. Sure, occasionally one found humor in ads, like the series of signs erected by Burma Shave. But by and large this type of publicity was unsightly and defaced our land’s natural beauty. In the early sixties, the environmental movement had its beginning. Rachel Carson published her landmark book, Silent Spring, in 1962 and a few years later Lady Bird Johnson advocated the passage of the Highway Beautification Act. The First Lady’s intentions were good and probably did limit the proliferation of advertisements on our nation's roadways, but from the start her efforts were crippled by the powerful billboard lobby. The pushing of products and services continues and has become rather ridiculous and even annoying at times. We have all noticed jarring instances of ads in movies and during TV shows. 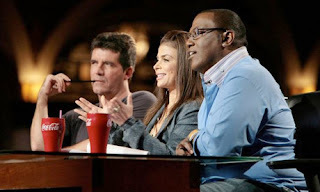 Whether it’s the camera centering on J. C. Penney in one of the Back to the Future films or the judges drinking out of plastic Coca-Cola glasses on American Idol, we can’t seem to escape the barrage of advertisements in our culture. Who hasn’t been annoyed also at the persistent promos during television programs which sometimes block someone’s name or something else that you’re trying to read at the bottom of the screen? This kind of placement must work to the company's advantage, though, or advertisers wouldn’t persist in doing it. I suppose that you could say that publicity people can be quite clever. Instead of simply lining the highways with signs, they’ve now taken their products on the road—literally. We’ve all seen pictures at least of the Oscar Meyer Wiener Mobile; apparently there’s even a 787 jet liner designed to resemble one of their hot dogs. 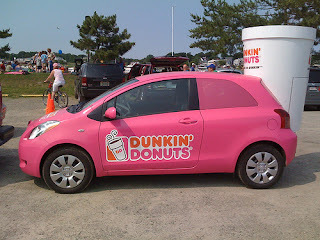 On a recent road trip, we were parked in a service area on the Mass Pike next to what I guess could be described as a hot pink donutmobile. Courtesy of Dunkin’ Donuts, of course. 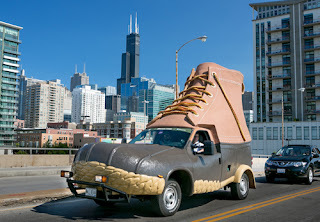 It may have been later that same day that we saw a pick-up in the shape of an L. L. Bean boot. Not even local buildings are exempt from advertising. Albany’s downtown arena has gone through so many names that I always have to stop and think of what it’s now called. It’s the Times Union Center (after our local newspaper) and before that it was the Pepsi Arena. Yet, I think the most disturbing form of advertising occurs on my laptop. Whether I'm on Amazon or another shopping site, cyberspace seems to know what items I've searched before—there or elsewhere. Google, too, keeps track of significant words I've mentioned in private emails and offers shopping suggestions. George Orwell might have had something in that Big Brother idea of his. Talk to just about anyone about the state of Maine and you’ll usually hear them rave about one of two places: the South Coast (York, Wells, Ogunquit, Old Orchard) or the area normally referred to as “Downeast” (Bar Harbor and Acadia National Park, for example). 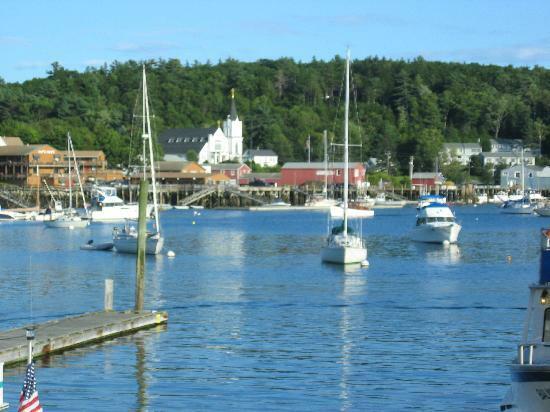 (Though, because of sailing terms in previous centuries, the term downeast is sometimes used to reference the whole state.) 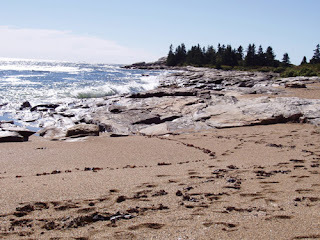 But the Maine coastline is long and intricate with all of its islands and craggy “fingers” jutting out into the Atlantic Ocean. And while ¾ of all visitors to the Pine Tree State only get as far as the South Coast, a short ride north of Portland reveals what is referred to as Mid-coast. Roughly extending from Brunswick to Belfast, this region has a lot for tourists to do and see. First and foremost, natural beauty abounds in this area of the coast. Quaint towns like Camden and Boothbay Harbor have picturesque waterfronts and the ubiquitous rocky peninsulas. 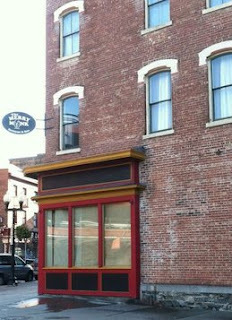 Camden’s attractive setting has drawn film crews since the mid-fifties (with Carousel and Peyton Place) to the twenty-first century (In the Bedroom in 2001). 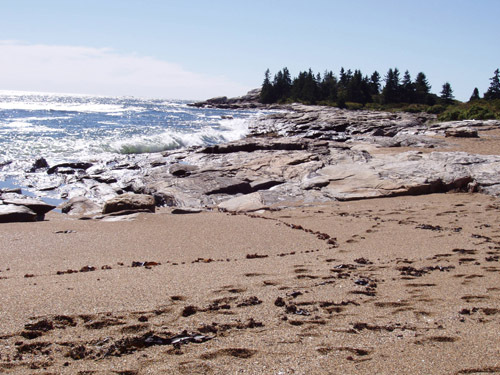 Boothbay offers visitors lighthouse tours as well as boat trips to see whales, puffins, and seals. Another terrific thing to do around town is to visit its 250-acre Coastal Maine Botanical Garden. Further south near the charming city of Bath on Georgetown Island one finds Reid State Park. This six-hundred-acre park offers wide sandy beaches, large dunes, and rocky promontories; it serves as a nesting area for least terns and piping plovers as well. But Mid-coast offers more than seascapes and other encounters with Mother Nature. There are arts festivals, theaters, and plenty of shopping opportunities for every taste. 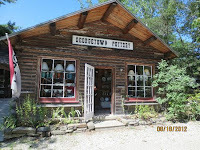 One favorite of ours is Georgetown Pottery, which has three outlets on the coast. 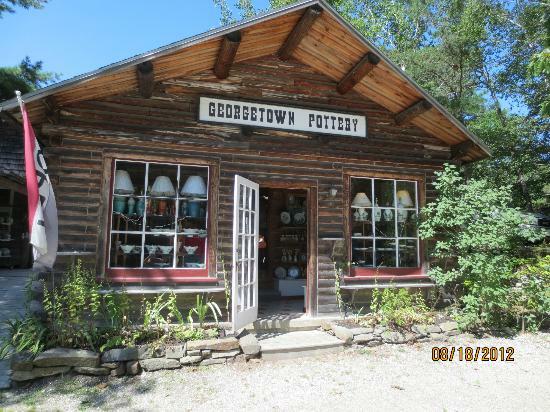 Here, beautiful handcrafted items—plates, cups, clocks, vases, sinks, and more—can be purchased, many featuring blueberry, lighthouse, fish, tree, and flower motifs. Very lovely and not your run-of-the-mill pottery. Finally, it wouldn’t be right (and wouldn’t be me!) not to talk about the food that you find here. Of course, you can get lobster just about everywhere: lobster dinners, lobster rolls, lobster bisque. You name it! And there are dishes featuring, mussels, clams, crabmeat, and fish. Other than seafood, however, there is a wide range of possibilities from burgers and fries at Fat Boy Drive In to Pho at Lemongrass Vietnamese restaurant, both in Brunswick. In Bath we’ve enjoyed meals at the upscale Solo Bistro on Front Street and a more modest but equally delicious lunch at Best Thai II. A unique chocolate shop in Georgetown, MainSweets, run by Patty Mains, has a variety of tasty confections. The most original is her Needhams which are made from coconut and mashed potatoes! I know, it sounds weird, but Mains, who was trained in chocolate making in Quebec, uses her grandfather’s recipe, envelops it in Belgian chocolate, and produces a delightful candy. 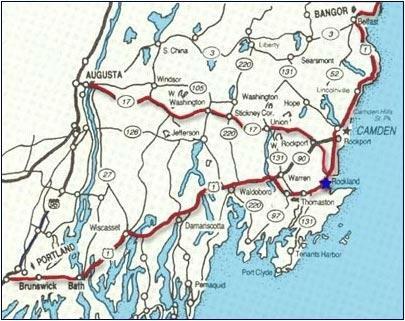 So, the next time you're headed downeast, drop in to see a town or two in the Mid-coast area. You can't go wrong in this part of Maine.